This is the last week of the month of love theme, and possibly my last piece for this theme. 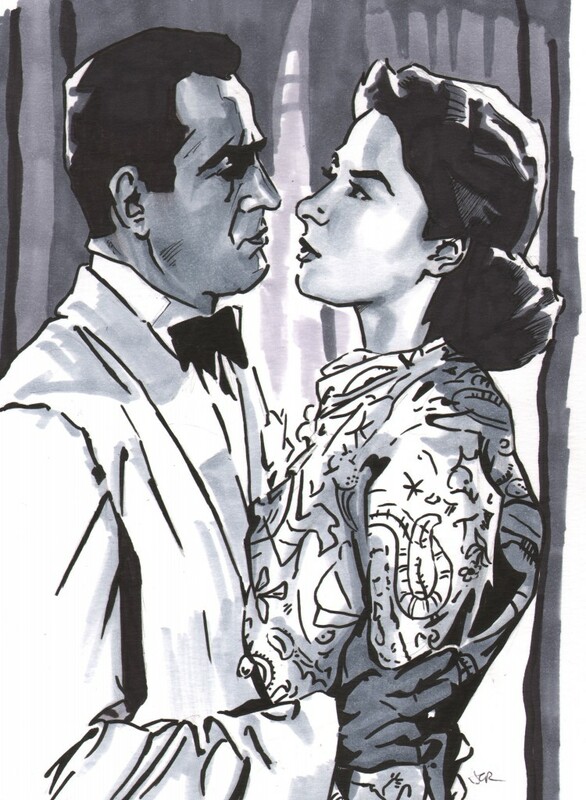 The drawing is from a scene from the movie, Casablanca. It’s a complete classic and made to perfection. I love everything about it. It has some great quotes and amazing music. I named this piece after the song, As Time Goes By, which is a song that has a big impact on the characters in the film. It’s about the joy and pain that love can bring and the hard choices that you have to make. And it’s got Nazis ruining everything. I know people might have problems watching a black and white movie from the 40’s, but to me it’s a must see.